The question of God’s providence and evil is one that tends to crop up every now and again. For me at least, the question over whether God’s providence is the direct cause of evil or not is one that must be answered with the ‘not’. God’s providence is not a cause in a way that collapses primary and secondary causality. This is a very simplistic way of putting it. How­ever, my question of concern is the relationship between God and apparent evil in Scripture. That is, given that God is good and is not a cause of evil, what are we to do when we are confronted with cases in Scripture where God does explicitly condone and order apparently evil actions? What value, if any, are we to glean from these passages? Two ways of interpretation are given here. The first is to draw a distinction between the god of the Old Testament and the God of Jesus Christ and the New Testament. His exact target is not important for our purposes here. The position is that there is a perceived problem with the implications that certain texts of the Old Testament have concerning God’s character in relation to the depiction of God in the New Testament. As such, the solution to this difficulty is to divide the old from the new, to say that the god of the Old Testament is a different being to the God of the New, and that the former is not a good god. Whilst Origen seems to have a specific group in mind, his point can be generally made concerning most of the so-called Gnostic groups2, who vary on whether the old god is incompetent or malicious in his creative and revelatory acts. The point remains the same: one way to tackle problematic texts in Scripture is to deny that they are in keeping with the full revelation of God in Jesus Christ, and are therefore less than Scripture. The second mode of interpretation is to hold to the harmony of the two Testaments, and to take these difficult Old Testament texts literally. Origen’s presentation of this point is telling, because he effectively concedes to the first group. That is, he finds that there is something morally repugnant in accepting that these texts are to be taken literally, and in this way he agrees with the Gnostics in their affirmation that the Old Testament contains passages that, when taken literally, do not reveal a good God. Nonetheless, Origen affirms the harmony of the Old and New Testaments, and that they do in fact reveal one and the same true God. This is where allegory comes in, and for this exposition I will turn to St. Gregory of Nyssa. The bracketed statement is crucial here as it demonstrates his point that the literal reading of Scripture can be spiritually harmful in certain cases. And not only this, but like Origen he goes so far as to propose that certain historical narratives in Scripture did not occur for this reason. His approach, I feel, is best exemplified by his interpretation of the story of the plagues of Egypt, specifically the tenth plague, in his work The Life of Moses. For Gregory the issue is that the literal text presents God as unjust for punishing people, infants no less, for the sins of their fathers. He then presents an explanation of the text in its spiritual sense. Gregory states that the death of the firstborn is an allegory of the Christian’s battle with sin, and that the Christian, in order to fight sin, must slay it within themselves before it has had a chance to mature and lead to other, more damaging, sins. In his interpre­tation, the Egyptian people represent sin, whereas the Israelites represent virtue. Here, again, the lack of a valuable literal sense and presumable denial of the historicity of the literal sense does not negate the allegorical meaning. As such, there is no scandal for Gregory to say that a certain vicious historical narrative in Scripture did not occur, because from his perspective to maintain that it did would comp­letely miss the point of why the passage is there in the first place. Concerning the example of the deaths of the firstborn, the violent imagery can be regarded as an emphasis on the spiritual violence required in the struggle to slay the passions, which is what the text is truly about. To hold this as historical would, in a certain sense, betray a non-contemplative approach to reading Scripture, and a moral failing on the part of the reader. In other words, in trying to stay faithful to the literal reading of the text in these types of passages, one would end up holding views about God that ‘would not be believed even of the most unjust and savage of human beings.’ In other words, St. Gregory of Nyssa’s interpretation of the killing of the firstborn forces us to confront the passage and others like it in their literal moral and theological implications, and then to truly contemplate them. I am aware that the term ‘Gnostic’ is a broad and inaccurate term to describe groups that formally had little to nothing connecting them. Nevertheless, I use it here as a shorthand to describe those groups that drew a distinction between the god of the Old Testament and the God of the New. George Repper is a graduate with a Master’s Degree in Theology from Durham University, with an emphasis on Patristics. This entry was posted in Gregory of Nyssa and tagged allegory, biblical interpretation, Exodus, Gregory of Nyssa, hermeneutics, literal, Origen. Bookmark the permalink. Thank you, George, for writing this piece for Eclectic Orthodoxy! Thank you. What a spectacularly good essay! Fr. Andrew Louth (also from Durham!) has a terrific little monograph on the recovery of allegory (Discerning the Mystery), very much worth reading, highly recommended on this very same topic. In addition to the allegorical approach I am inclined the absolutely necessity to consider the wider narrative, historical, and rhetorical contexts of biblical writings. So for instance, “I will smite the firstborn” can be read, as literalists are wont to do, as an immediate divine directive, proceeding if you will as from the very mouth of God. What I find more likely is that the text indicates the author’s interpretation of events. And interpretations, though faithfully and truthfully recorded in Holy Writ, may not always be true and reliable value statements. So the book of Job is best understood as a (very clever) commentary on the meaning of the Babylonian exile, an elaborate interpretative strategy to derive meaning of the seeming divine abandonment of the people of promise and covenant. If one does not take into account the wider contexts to focus narrowingly on pericope and verse, misunderstanding and misappropriation is a sure thing. I understand that such a reading is literally impossible in Judaism, which originated the text, as in Judaism Job is universally seen as both a righteous Gentile (i.e not a figure that can stand for the Jewish or Hebrew nation as such) and the most righteous man of his time. Excellent essay. Thank you. I’ve always felt that the moral should serve as a exegetical rule just as much as the logical. I’m happy to read here that so great a Father as St. Gregory of Nyssa confirms that intuition. I wonder if George Macdonald read St. Gregory of Nyssa. Macdonald writes something similar about his own exegetical approach to difficult passages. George, this is an excellent essay with much to think about. At the end of the day, I would essentially agree that the spiritual interpretation of sacred history (whether we view it as literal or not) is what ought to be normative for the church. However, my love for Old Testament studies leads me to a different way of dealing with the violence of the Old Testament. The violence texts are indeed perplexing for those of us who have been conditioned by a moral vision of God that emerges in the Prophets and continues with further refinement into the New Testament. My caution in discarding the literal reading of these is that they do hold value in understanding the moral and spiritual meaning of the text. It would be hard to conceive of “the LORD of armies (hosts)” who does battle on behalf of his people, and its spiritual apogee in the ministry of Christ, if we did not have concrete historical instances where God battles on behalf of his people in order to secure their freedom and to remain true to his promises. When compared in their Bronze Age context, the actions of Yahweh would not seem at all immoral, but fitting. I take this mode of revelation to be in accordance with what his people could perceive at that time given their historical setting. There were no metaphysical categories to think about God or the gods during the Bronze Age, whatever we can make of religious and spiritual truth at that time, it always came in direct and rather concrete forms. I see this as an act of Divine condescension in his self-disclosure wherein God opened the door for a vital connection with his people in an idiom they could understand. So, in sketching out an ultimately spiritual reading of these events, which Christ does in telling us to love our enemies, and how Paul does by dropping the notion that human agents are our enemies, rather the spiritual powers that hold them in thrall are; I think we need to hold the manner in which God disclosed himself in the past as culminating in a much higher purpose that is meant to instruct us, upon whom the end of the age has come. Thus the violence (whatever one makes of it) in the Old Testament is enfolded in a narrative of peace. Part of my understanding has been shaped by our recovery of the ancient world through archaeological and textual discoveries that were not available to the Fathers, whose understanding of that world would have been necessarily obscure because ‘history’ as a discipline does not begin in earnest until later in the Iron Age in the Greek world, and much of what preceded that period was buried in the dirt. That said, I do ultimately agree with their spiritual readings of the texts, and I believe that this is how they should be taught in the ministry of the church. I just don’t think that we should try to absolve God of violence in prior epochs, because even these were revelatory for the people that experienced this mode of disclosure. I am surprised to read that you’re OK with ascribing violence to God. That’s some serious stuff right there. If He did it then in times prior, I don’t see what’s changed that stopped God’s capacity to inflict harm to innocents. I wouldn’t say I am OK with it, I find it profoundly difficult, but I also do operate from a Protestant framework that privileges the biblical text over tradition. I do think that, given a decent historical understanding of what happened in Scripture we can construct a biblical theology (which is the primary school I have been trained in) that gives a cogent account for violence that doesn’t deny its presence. Even the category of innocents is something that only a Christian imagination could possibly conceive. I don’t thing there are interpretive options that don’t entail some amount of pain – God is disclosing himself in the brutal vicissitudes of history. The end is perfect peace, but the way that this has unfolded is messy. I appreciate how the Fathers are interpreting the OT witness, but it is not without the difficulty of denying that God’s self-disclosure is grounded in a real history. Now, I don’t think it is at all essential to the Christian faith to interpret the OT as real history, but I am not convinced that this is the best option, or that this is how the NT authors interpreted it either. I don’t think it is a matter of ascribing anything to God one way or the other as much as it is a question of how we look at the text. I see the Scriptures as the story of the irruption of the kingdom of God into a fallen order that has been wrecked by sin, and that God is engaging history in such a way that it tells the story not only of his people but of himself and how he is ultimately disclosing himself in his Son and how he will ultimately redeem the whole of the created order. This has entailed divine warfare, which for a dispensation came in very concrete forms, yet in the fullness of time the ultimate mode of divine warfare was to be carried out by violence but through loving self-sacrifice and faithful witness. The value in this story for us now spiritual, but the question of how to deal with the biblical witness is a thorny one no matter which way we go. I am open to change my views on this, but for me it also has to do justice to the texts that we all believe God has revealed himself within. The path that Origen and St. Gregory chart is a venerable one, I don’t deny this in the least, but they are also giving up something when they dislocate the text from the history in which it is embedded. yet in the fullness of time the ultimate mode of divine warfare was not to be carried out by violence but through loving self-sacrifice and faithful witness. I omitted not and that could obscure what I was trying to convey. This is a fair point I think. To an extent there does seem to be something disjointed about simply denying bits of the history but not others. For example, as stated in the article, Origen in book 4 of ‘On First Principles’ writes that the Spirit deliberately places so-called stumbling blocks to raise us to a higher contemplation of the text, which he writes are things that could not have happened, or are things that could have happened but didn’t. This can come across as sloppy or ad-hoc, but I do think that there is something serious to think about when we read stories of violence in the Old Testament. That is, I agree that God comes to our level in revelatory history, and that would explain why violent imagery is used in these stories, as militarism was probably more ingrained in the culture (although I’m not student of ancient Near-Eastern history!) However, I don’t think that would then justify an interpretation that says that God actually did order the Israelites to kill everyone in Jericho, or the firstborn children of Egypt, as the point would still stand that He has still killed those who did not sin, only in this case it was to convey a typological/anagogical/allegorical lesson. That is, don’t we then end up saying that innocents were sacrificed on the altar of revelatory history for our sake? I still think we are confronted with the problems that come from preserving a literal interpretation of the text. Thanks George. I do agree that in order to account for a literal reading there is no way of escaping the difficulty of violence. My theological training is in OT and Ancient Near East studies, so as much as I am acquiring a deep sympathy for the Christian metaphysical tradition and Patristic hermenutics, there are some areas I would say need nuance when we deal with them. I am fine with the notion that the violence did happen, and that the Israelites believed that it was divinely sanctioned, but I am also fine in asserting that they were, perhaps misunderstanding how he was communicating to them and this filters into the biblical witness. There are also questions of causation that also should be explored. But, the imagery and theology of Divine warfare is a component that is vital to the OT, and is prominent in various places in the gospels, St. John’s Apocalypse, and passages in the Pauline corpus. I don’t think there are any interpretive approaches that don’t entail some difficulty, but I am hesitant to absolve God (as if such a thing were necessary) of the profound problems these texts present us. I feel like you have hit upon the primary meaning of scripture. If you combine this with something like Greg Boyd’s literal interpretation of OT violence in his magisterial “The Crucifixion of the Warrior God,” I think one has a fairly robust hermeneutic to deal with OT violence. He gets at the literal meaning, you get at the spiritual meaning. I think one should acknowledge the “historical messiness” Jedidiah talks about and the often implicit context in which initial authorship arises (as Robert indicates). The overall hermeneutic suggested by the Fathers is wise, yet I do not believe one can easily dismiss the history of the literal aspect, though precise historical knowledge may forever elude us. Our own lives are complicated and messy. The Spirit is patiently drawing us towards holiness, towards divine life, whilst our spiritual acumen is limited, our expression imperfect. If this is true of our individual lives, why should it not be true of Israel and the Church? It is certainly a grave mistake to separate the Old and New Testament, to follow a Marcionite program of repudiating Yahweh; one can recognize tensions and limitations within the scriptural canon without abandoning the unity of divine revelation. I agree with the fact that our lives are historically messy, and therefore the lives of the Israelites and the Church generally are messy too. However, I think that a distinction should be drawn between things that people do in Scripture that seem immoral, and things that God does. For example, I have no trouble accepting the historicity of Lot being seduced by his daughters (contra Origen, who incidentally felt that the literal sense of this text had no theological value) or King David’s adultery with Bathsheba. They’re important for history’s sake and there’s no theological issue for me in saying that people in the Old Testament did bad things. If however, the text said that God had ordered Lot’s daughters to seduce him, or for David to commit adultery, then there would be a problem and we would have to go to the allegorical sense, or say that these figures thought that God told them to do it (which raises its own hermeneutical questions). You talk about God’s providence not interrupting ordinary causality. The structure of the exodus story if thought of from the Egyptian point of view is very similar to that of the disasters befalling Israel: the rulers / country generally are pursuing some injustice or evil course of action, a prophet threatens the rulers with destruction if they do not repent, they persist in their evil and the disaster befalls. The disasters befalling Israel were principally foreign invasions. The authors and readers of the Bible must have known that the direct cause of these catastrophes was ordinary natural events: some foreign king decided that Israel was a tempting target for invasion, he assembles his armies, because of the size and martial prowess of the kingdom they are far mightier than anything Israel can muster, and Israel goes down to inevitable defeat. Even while attributing the disaster to God they would be perfectly aware no supernatural direct intervention by God outside ordinary causality was required for the events described to occur. Likewise, I have seen perfectly plausible explanations as to how the plagues of Egypt could have resulted from natural causes, even (at a stretch) the targeting of firstborn males. Wars and natural disasters happen all the time and are simply part of how the world just is. The disasters the OT describes as inflicted by God in the OT present no more of a problem with the idea of a loving God than the disasters we ourselves experience or see on our TV screens, as far as I can see. You can allegorise away the ancient plagues of Egypt but not the earthquakes and tsunamis which we witness directly and which, like it or not, definitely do kill innocent children. Death and destruction seem to be intimately woven into what is asserted the good creation of a good God, and God’s grace to spare us from them is often apparently arbitrary or arbitrarily withheld. We can hope and have faith there is a reason for it, and that one day God will make good, but no-one yet has come up with a completly satisfactory explanation. One way of looking at God’s judgments on Israel is as a withdrawal of his presence and protection, leaving an Israel that prefers the world to God at the mercy of the ordinary chances of the world they insist on being creatures of. A way of looking at the plagues of Egypt is that natural disasters (with natural causes) are coming upon Egypt with which God will free his people. That is a grace to the Israelites, although disaster for Egypt. God in his mercy warns the Egyptians and extends his grace to spare them if they will only repent and free the Israelites themselves, but they refuse and whatever natural forces overtake them take their natural course. I very much both enjoyed this article and agree with it so thank for giving us your insight George (I’m not sure if you are still there but Durham is definitely a beautiful place, not far from where I live, and enjoyed my visits for recently when I was visiting Father Louth’s services at the Orthodox Church of St Bede and St Cuthbert before I was unable to keep going due to travel costs). which I found very helpful and indeed freeing in a variety of different ways. It lead me to break free from what I came to see was a very modern and new approach to Scripture as Scripture, and out of a labyrinth where I had to deal with a schizophrenic picture of God. For me I agree that what does not agree with the revelation of Christ cannot be taken on a plain reading (I won’t say a literal reading, since as Hart says to read a literal reading is to read the literal meaning the Spirit is communicating in a true reading, which isn’t the same a plain reading). This approach to the Old Testament is there throughout St Paul’s letters and even in Scripture used by Gospel authors in places, by Our Lord (such as in reference to Jonah for example) so it’s roots are deep and seems to be a fundamentally apostolic and truly Biblical approach to the Old Testament when reading them as Scripture (as opposed to reading them as historical documents). And I would say St Gregory and St Origen where right in terms of such things might not have happened historically, as the Exodus story for example is highly unlikely to have occurred historically in anything resembling the story as it is. There is no evidence for it from archaeology and history for such an major event, and Ramses II (the most likely Pharaoh based on dating) didn’t die young in the Red Sea but lived to a ripe old age of 92 (if I remember correctly) dying of natural causes with his body on display in a museum (maybe Cairo I can’t remember now for sure). And again, little evidence (and allot against) for major disasters that relate to anything like the plagues for predecessors and successors either side. There is some evidence in reference to Egyptian cities in Egyptian names and of Bronze Age descriptions of some items that hint at some aspects of the story founded in some oral kept memory but that would be similar to say similar information in Homer’s Iliad. Possibly the group might have been part of the Hyksos group that settled the Eastern Nile before 1650 BC and after leaving became part of the people that grew to become the people of Israel, and gave some source to this. That should be good news, rather then justify such horrific deeds attributed to God, and can read more deeply what the Spirit says through the story as developed and read through Christ, but quite a few Christians still try both to defend it’s total historicity (a failed cause not to far off young creationism much of the time in my opinion) but worse at times provide attempted justifications for what happens that just serve to underline the views the Gnostic above took of God as a monster and rightfully turn away many from Christianity (and in so doing, they turn closer to Christ). For me the key is founded in such places as the Beatitudes where Christ says you have heard it said… but I tell you (or whereas I tell you), not this is how it was but now it’s this way. This is how it always has been Christ is revealing God’s eternal intentions and what He is like, and what people are called and equipped to be, or again where He tells his disciples that prophets and kings longed to see what they see but did not. I take this revealing that throughout the time the development of the Jewish people they did not understand God nor Who He is, and God didn’t their developing ideas, insights and stories (He didn’t override their shared and developing tradition, in developing from nomadic people, through to the Kingdom, Temple, Exile and returning phase, through oral tradition and developing works that formed the Scriptures). While there were true insights and a developing trajectory of care for the poor, widow and orphan, and ending of debts, the 10 commandments that are important, in the end they were as those in Plato’s cave seeing shadows casts against the wall by the fire, they didn’t fully know what it meant. And Hebrews elaborates and says as much, that these things (as Scripture) were not written for them, but for us, they looked for a hope they did not know nor understood. They knew of God, but not about Him, this comes with Christ, as the Gospel according to St John says, He brought grace and truth, including the truth of God, and of the Scriptures, as He tells us on the road of Emmaus that the Scriptures where all about Him, not just some prophesies but it all is about Him, to be read through Him and concerning Him, His Incarnation (and all it includes, earthly life, Cross, death, Resurrection and Ascension, reign and return) and the Gospel. As Christian Scripture it’s not about anything else, it is a commentary on the New Testament, and just as in the Transfiguration Moses and Elijah appear transfigured too, so Christ transfigures the Torah, the Psalms and the Prophets, illuminating, transforming and correcting misconceptions and revealing the true meaning within. So as when Christ rebukes St John and St Andrew for asking for fire to be called down on a town, it is revealed to God doesn’t wish that, and doesn’t do this, and their misunderstanding of Him through truly understanding Him through the tradition they had for reading stories such as Elijah calling fire from heaven or Sodom and Gomorrah were misguided and incomplete, they were reading it blind. Christ did indeed fulfill the Law and the Prophets, but it was and always truly was about Him, and in Him for us, the Church, His Life fulfills what it is truly about, and in His illumination we are as I see it, to read it as about Him and the Gospel, and that transfiguration reveals many plain readings to be misunderstandings of the people of Israel and and as said above not worthy of God nor something He would ever do (such as command or worse still commit genocide or infanticide, nor would He who commands us to love our enemies and gave Himself to us as enemies on the Cross, which is after-all what the Passover story is really about, strike down enemies who in the end where no challenge to Him). The Lord Jesus Christ is the exact Image and Likeness of the Father, who does not change, and Christ does not change, He is the same then, now and forever, He has always been the Servant King, and what He does not do, and rebukes during His earthly Life He would not do after, nor would He do it before (of course those before and after distinctions only really apply to us, there was never a time the Son was not Jesus of Nazareth). This to me then is the only way I can see to really read the Old Testament as Scripture, which is centered in Christ Himself, the historical work on the texts are important, they can give us resonance we might miss and a better understanding, but all that is preliminary to then reading it as Scripture as about Christ, within the tradition of the Church in and by the Holy Spirit (we the inspired reader through the text is by the Spirit lead to a true reading of the text). This is how Joshua crossing the Jordan becomes clearly about Jesus baptism, and so on (and the conquest itself is most definitely read in spiritual terms and the freeing conquest of the Gospel and God’s love, not genocidal massacres, which I think for a long time was the standard Christian approach to the text). From Christ we can clearly say no, God never commanded the killing of any, nor He send an angel to slay children (after all it’s called the angel of death, not God, death is clearly revealed by Christ to be His enemy, of which St Paul leaves us in no doubt whatsoever, so I tend to see this figure either Satan directly or those demonic powers generally enslaved and warped by death, which also makes sense when we read it as about the true Passover that is Pascha). , Nor does He burn people alive from the sky, nor drown them, nor is it His wish that adulterers be killed (Christ specifically stops this, we are to forgive as He forgives, love our enemies as He sends sun and rain on all and gives His Own Son for the whole cosmos and all in it). Christ is the key, He transfigures the Old Testament as He did Moses and Elijah, and when we hit things not worthy of Him, and against the revelation of Christ then the Spirit will lead if we are will and knowing that it all is about Him and for us Christians, to read deeper and see His illumination lead us to see how it truly refers to Him and the Gospel. Excellent discussion. I am undecided about St Gregory’s judgment on the historicity of God’s slaying of the first-born. Consider: every year Jesus would have celebrated the Passover with his family and friends. He would have been taught that the divine slaying of the Egyptian first-born was a historical event. How did he reconcile this with his understanding of God as Abba? What do you think of Dr Huffling’s response? My response first in relation to the fact that the Lord celebrated Passover, and no doubt in the synagogue heard and was wondering taught from the Scriptures as well as prayed and studied them himself, as well as the Festival of Lights and other festivals. He read and celebrated the Passover, read of God slaying Israelites in the thousands in a fit of seeming annoyance until placated by Moses, Moabite women getting speared, Moses commanding brutality against other people, coming to a commandment to full genocide under Joshua. Further brutality under Judges, than David (Saul loses his kingship for not committing genocide even if in the story for selfish reasons) commits genocide. The Lord knew this, as He probably celebrated Purim and where not only deliverance but retribution involving the death of thousands again was involved (including women and children). However as God the Son He knew who He was in manner we cannot know, I believe He intuited the truth in the Scriptures and stories (and not all read them as concrete historical accounts, Paul didn’t invent his typological approach). As He would say to His Mother, His time wasn’t yet, He had to live as we do, and more specifically His fellow Jews, the carriers of the orcales of God and His chosen people. In the same way He didn’t correct St John the Baptist when he preached the one coming to baptize in the Holy Spirit and fire imagined a time of righteous judgement (hence the question he had his disciples ask the Lord on if there was another). As for the command Jesus tells us to be like the Father, and to see Him is to see the Father (and God does not change). Jesus gives Himself, takes the sword from Peter and heals the soldier hurt, heals the Roman centurion servant, forgives and releases, does not bring legions of angels but doesn’t return violence but gives His Life praying for those who hurt Him forgiveness (and for us all). He returns good for ill, healing for harm, blessing for curses. And this is how the Father is, who we are instructed to be like and emulate, to forgive, if someone even an enemy soldier asks us to carry a load one mile we should go two, to return good for evil, to always forgive, to give to any need to help and love all. To not offer judgement and violence to help, bless, forgive and release. To be like this is to be like God, and God doesn’t change, so either God is like Christ shows and declares Him to be (and doesn’t go around ordering people to commit the most henious crime imaginable) or we essentially call Christ a liar, the two protraits are not reconcilable in my opinion. No matter what pious language is used God is being called a monster here, thankfully again historical Joshua’s genocides almost certainly never happened. The continued and copious evidence of continued non-Israelite occupation in the settlements mentioned (including Jericho from what I remember) means no actual genocide happened. A further issue (since this is exactly the kind of, however piously given, sickening defence for such horrific evil I alluded to above) this is the bizzare and morally relative and void move that because god does it becomes okay. And because he (I won’t capitalize either, because this is not talking about God) commands it, just like the worst kind of pagan deity it becomes okay to dash badies heads against walls, kill civilians and whole peoples. We would never accept that of anybody or anything else, and the same people defending this decry abortions and declare Nazis and Soviets evil (and other pagan peoples who did similar but not on that scale) which they also regarded as righteous and judgement. Or take crimes by extreme Islam or Mohammed’s taking of Khybar (which at least to some Jews captive) that was also thought by God’s command and will. So it really just becomes a matter of it being the right God and then just appealing to God’s mystery and who are we to question God (like Job being told to shut up after his children were killed). We would label it henious evil no matter who was killed by anyone else, but here the genocide and infanticide becomes holy work, even as the act taken in plain reading defies the revelation in Christ (or just common human decancy). You can put it back to God and call it a mystery and judgement, it is genocide being depicted here in a surface reading all the same. This is not God as Christ reveals Him, it is something very different, the worship of death is in this if we take it literally. It is not worthy of God and such reasoning is effective blasphemy, honestly I Christians are often the ones these days giving God the worst name and in their efforts to defend Him blackening His name. Genocide does not change because you state it is ordered by God, I think people often only make these arguments because it’s put into a faraway ‘Biblical Old Testament’ time where God can do awful things to people we don’t see as people anymore but just background to a story. And it was all to lead to Christ so it somehow okay, the same would never think (at least lets be glad for this) to justify someone committing genocides in Christ’s name. Though of course this has to an extent been done in the past, with this kind of thinking behind it. Genocide apology is horrific in my opinion and I’ve seen to much of it in Christian circles, St Gregory and St Origen are right such things are not worthy of God and should not be said about Him. I believe unintended as it is, it is a great blasphemy, and just our fallen common decancy can tell you how henious this reasoning is. I like Walton’s stuff. I also think that, sometimes in the OT, we cannot reduce God to the character named “God.” Yochanan Muff’s work helped me see, for example, that God is actually revealed through the character “God” and Moses when Moses was pleading with God. And since they didn’t have the concepts of causation the way we do (or the Greeks’), they attributed many things as a commandment or acts of God. I celebrate the Mass that speaks of Adam’s sin and being tempted by the serpent, and I even speak of Adam and Eve in my teaching, but I don’t think the events recounted in Gen. 2 are historical. Same with the story of the sacrifice of Isaac. I think Jesus did the same when it came to the Passover. If I read Brian right, the theological task is foreclosed: absolute equivocation takes the lead, we do not know how, and if indeed, goodness is distinct from evil. Here we meet the god who at cost of the eternal damnation of babes reveals himself as absolute sovereign despot with a capricious will to power. But this is good. Robert, I don’t think that inscrutability is the same as equivocation. Paul himself grapples with the difficulties of God’s role in salvation history in Romans 9-11, including the Exodus event vis-a-vis Pharaoh. The end of all these problems it that God has bound all in wrath only to show mercy to all, and his purposes in salvation can only be vindicated in their eschatological end as DBH so cogently argues. All I am arguing here is that I do not think that the best approach to a spiritual reading of the text, which is more or less normative for the task of theology and the kerygma of the church, should ultimately discard the history in which the sacred texts are embedded in even if this presents us with profound and even disturbing difficulties. There’s a lot of heavy lifting in this process because getting down to the crux of how the ancient Israelites composed history (which was already indistinguishable from theology) is not readily apparent to readers in antiquity or in the modern era because, for the most part this history was lost, literally in the dirt, and hasn’t really been recovered. This is where historical studies can be so helpful to the interpretative process. Jed I was responding to Dr Huffling’s post. I am not sure you are speaking in regards to Huffling? I was riffing off of your response, perhaps without engaging it directly. I think I zigged where you zagged. Apologies for any confusion there. This has had great replies but I’ll add my two cents. The problem with Brian’s point is that we’re talking about collective punishment. In the case of the 10th plague we have a case of innocents being punished for crimes they didn’t even have the capacity to commit. Likewise in Jericho, where the children and even the animals aren’t spared. I have a hard time believing they were killed for their inpenitence or sin, considering they were not able to do either. Likewise, I’m reminded of Genesis where Abraham pleads for Sodom, and God replies that if one innocent person was in the city he would spare it. Also the Ezekiel passage that St Gregory uses, where God says that a son cannot die for the sins of the father. It’s not just a case of the Old Testament seemingly being inconsistent with the New, but even in the Old Testament we find plenty of texts that attest to God hating evil and exercising true justice, not the kind of collective punishment that sweeps up guilty and innocent alike as we find in other texts. He quite openly condones divinely commanded genocide, which he simply calls by another (to him ethically acceptable) name (“an act of judgment”). George, just want you to know that your article has moved into first place for 2019! You are crushing all of my 2019 articles. Congrats! For as long as we remain invested in treating the entirety of the Bible as inerrant and divinely inspired, i.e. 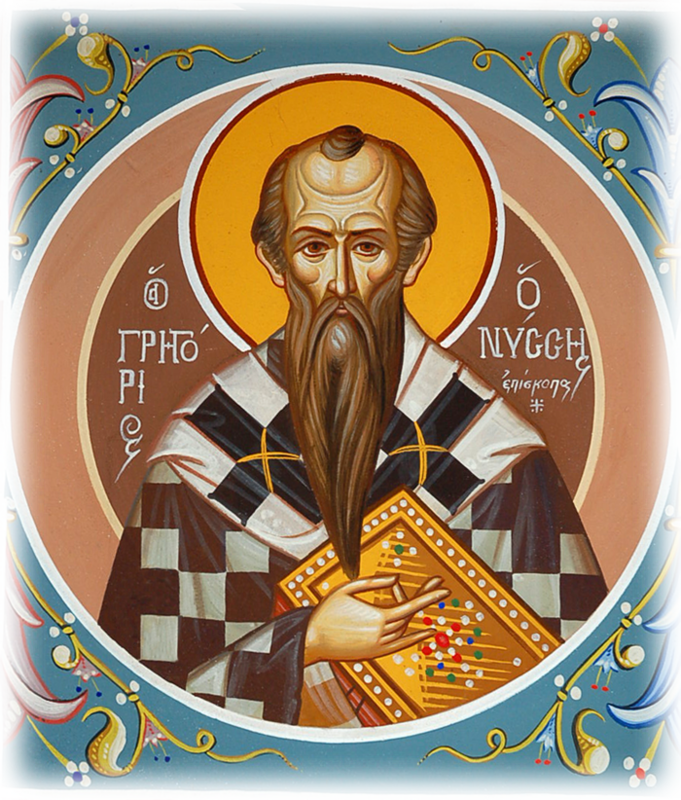 as long as we continue to mistake Bible-idolatry for Christianity, we’ll have to resort to one or another form of rationalization, which is what Gregory of Nyssa provides with his proposed shift to an absurdly anachronistic, theologically opportunist use of allegorical readings of problematic passages.